The latest Apple iPod does more than just play music. It functions as a video player as well. And with either 30GB or 80GB of storage capacity, you can store a lot of your favorite movies, TV Shows and videos. 30GB to 80GB is a huge data and there are some situations where you need to back up all your iPod's data. For example, if your iPod requires a usual service in the service center. Taking a regular back up is a good habit anyways but, backing up data from iPod required iTunes as an interpreter until iPod Video Transfer came in picture. This software is a freeware. You can use it completely free to copy and transfer videos, movies and music between iPod and PC without iTunes. Though it only support the 5.5G iPod or Below. For the people frustrated with iTunes, iPod Video Transfer can be very handy tool. It is very easy to transfer files from your computer to iPod as well. Just plug in your iPod to computer and one click is enough; it couldn’t be easier to copy music and video to iPod. In short, you can use this application for backing up data in iPod to PC, to transfer music and movies to iPod, to copy iPod songs to a new computer or notebook, if your computer crashed and lost iTunes library, to share your iPod songs with friends and also to copy all songs and videos to a new iPod. It is totally free iPod software without any spyware and virus. It can copy Videos, DVD Movies, Songs and TV Shows from iPod to Computer. The best iTunes alternative. Transfer videos, DVD Movies, Music to iPod directly. It can also help delete files in iPod directly. The interface is quite user-friendly. Just a few clicks is enough to copy and transfer files to and from iPod and Computer. Click Here to download this useful freeware application. It is not a new thing for China being criticized for isolating herself from the media. It's been reported lately, that the access to The New York Times has been blocked in China. People living in Beijing, Shanghai and Guangzhou tried to access The New York Times and they received a message stating, "The Site is Not Available". However it's been noted that the site was accessible through Virtual Private Network (VPN). The officials were rejecting to state anything and said they had no information on the case. Though the Foreign Ministry made a point and reminded that the China which gave a free rein to Internet before and during the Beijing Olympics in August, was within its rights to block websites with content illegal under Chinese law. It is said that China regularly blocks sites it finds inappropriate. Especially those related to Tibet. AsiaWeek said, "Access to the Chinese-language versions of the BBC, Voice of America and Hong Kong media Ming Pao News and AsiaWeek were blocked early this month". Readers need to know that, the China has the world's greatest number of internet users. In response to this fact, China has set up a team which keeps a keen eye on the web to remove any sensitive information and warn bloggers and the site owners who post anything against Chinese law. Apple keeps trying to modify and improve it's various products. But what comes in mind to improve when it's about a computer's Mouse? - Remove its tail, the manufacturer tells. They launched a mouse that has gone wireless and has changed the way people scroll. 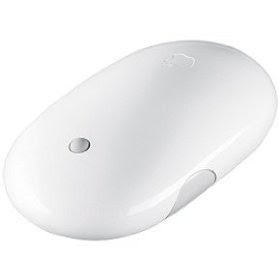 This mouse is given 360 degree scrolling design. It is The Mighty Mouse. This high-tech and nice looking mouse works on a very secure & reliable BlueTooth Technology. It can be taken anywhere you go as it can be paired with any bluetooth enabled Mac. It also eases a load on batteries while you're on the go. It merely requires either 1 or 2 AA size batteries. The Mighty Mouse's tracking engine is based on laser technology. So the performance wise it's 20 times better than any optical mouse, giving you more accuracy. It's quite responsive on any surfaces. You can simply leave your mouse pad at home or office and go for a dinner with your client. It works perfectly fine on the dining table just as it works on your office desk. This device is placed with miniature sensors which detects even a slightest movement. Also, pre-programmed side buttons launch Dashboard. As reviewed and said by many customers, "it features excellent tracking, it is thankfully minimalistic (unlike many mice that have so many buttons it's nearly impossible to figure out how to use the bloody thing), and has that wonderful mini-trackball, which is the best possible way to navigate webpages or large displays (such as Photoshop)", says Erik Johnson. In my opinion, it has all the features you could want and is easily modified to your specific requirement. The ability to let you turn this unit "off" when not in use, extends the battery time considerably. Find more utilities and grab this Mighty product here. Search Images that Contain Faces OR Photos OR ClipArt etc. Google Image Search has launched new search options - Content Type. The options available under this category are - News Content, Faces, Photo Content, Clip Art, Line Drawings and Any Content. Searching images exactly that match your requirement is a very challenging task. i.e. The search terms may match the words you type but, images may not appear in the style you want them. Suppose you want a small picture or a logo kind of thing for a Bill(Invoice), you go to Google Image Search and type in "Bill". The result will be actually scanned bills or pictures of Bill Gates or Bill Clinton. Now search with exactly the same term "Bill" but include "Clip Art" as a type of content and you'll be able to get the pictures that appear themselves as "Bill". it just has become a lot easier to find the images you're looking for. All of these options can be selected from the "Any content" drop down in the blue title bar on any search results page, or by selecting one of the "Content types" on the Advanced Image Search page. Yahoo Mail has launched social networking features into email service. Different tools are provided that let people use email service to make different communities on friends or interest. Yahoo Mail is having around 275 million users world wide and the Vice President, John Kremer feels that - Mail is the largest dormant social graph. Now the smarter inbox puts all the emails from friends and family in a separate file so that it doesn't get mixed up with other work related emails. Giving more spam protection. An authorization is given for the first time to install third party softwares in the inbox. For example, Movie recommendation service Flixster, tools for the popular blog service WordPress. As experienced with most of the forums, links from the different websites for the images can be found in Yahoo Mail's messages. Also Xoopit, widely used by gmail users till date, will now fetch all the images from your inbox and store at one place. It gives users a facility to view all photographs [even the photographs stored in oldest email] at one place. 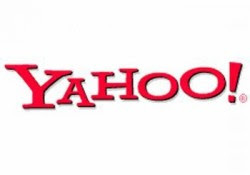 It is a very good initiative by Yahoo to attract more people to it's popular email service and let their existing users spend more time on their ad-supported pages. Yahoo has put one exciting features available for developers, which is found in a smart social networking website, FaceBook - To let third-party developers create fun, hip, or functional applications. Yahoo isn't trying to be a MySpace or Facebook, but wants to add "the right bits of social that make sense to our audience," said Yahoo Audience Product Division vice president Ash Patel. It is going to be a really interesting war to see where the user bases end up. It is quite obvious that the Portable Color Printers are of the utmost important in any business. Suppose you're in a meeting with a client somewhere outside, and you've finalized a very significant deal with them. You put a good impression on them by your professionalism and you're required to give them few papers printed, you say, "I don't have a printer but I'll send you as soon as I reach my office and take print outs." This may completely destroy you hard work you did for the deal and spoil your overhaul image. Your client may hesitate to deal with you further. Many of you would still think that Portable Color Printers may be useful for on-field professionals. But it's not so, portable printers even in your office may prove to be very handy. It can also print photographs from your camera, even if you don't have a computer at present moment. Further more, quality does not differ from the digital images. A great printer for these fruitful facilities and which I also recommend is - Canon Pixma ip90v Photo Inkjet Printer. This one is quite light in volume and with high quality printing. It is lighter than a dictionary. One attracting thing about this printer is that it can print 8.5"X11" sheet - the only size of a book. Printing speed is not as fast as laser inkjet but is fast enough. Cartridges are small in size, but that's bound to be, since the whole printer is small in size. The dimensions are: 12.3 x 2.1 x 6.9 in. (WxHxD); weighs only 4.0 pounds. One black ink cartridge is good for printing about 60 to 70 pages of average contents such as expense reports, boarding pass, maps etc. It has also got Precision ink nozzles for high resolution up to 4800 x 1200 color dpi. This Portable Color Printer is the best choice if you're more often on field with your note book or even if you're into office most of the time. 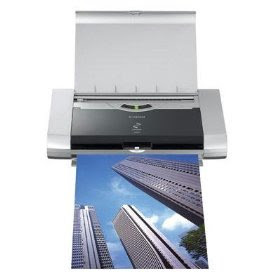 This printer is easy to set up and does a perfect job of printing text and graphics. The printer is fast enough and the battery charge lasts a long time. Don't miss out on this great product. Get your printer now.